As a culmination of my study of digital media, I designed a project that utilized all of the skills that I had learned during my Masters program: web design and development, 3D modeling and animation, Flash and Actionscript, and video creation and editing. I combined all of these elements of digital media with my love of computers and my desire to see others educated about the functionality of computers to create an interactive website called "The Computer Tutor." 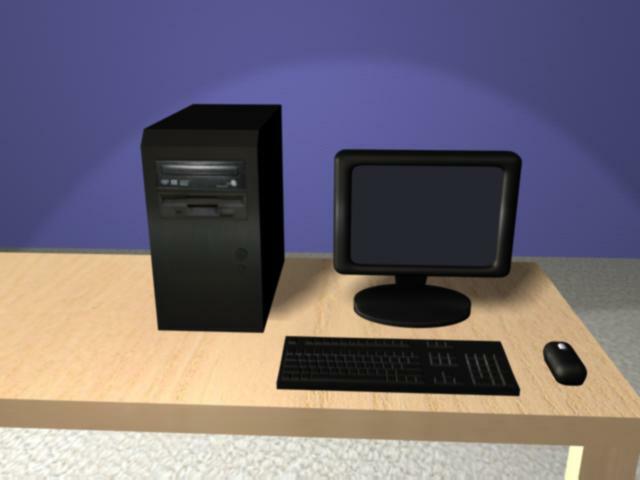 This website walks users through the components of a standard desktop computer in text, video, or interactive formats. It showcases not only the skills that I learned during my study of digital media, but also my ability to bring digital forms together in order to educate others about a complex system in straightforward and creative ways, while taking into account the differences in the way that people choose to learn through digital media. To access the site and experience "The Computer Tutor" yourself, please click on the image below.